I’ve supported Scotland for as long as I can remember, however my first real memories of watching them was the Spain 82 World Cup. Who could possibly forget Dave Narey’s goal v Brazil. 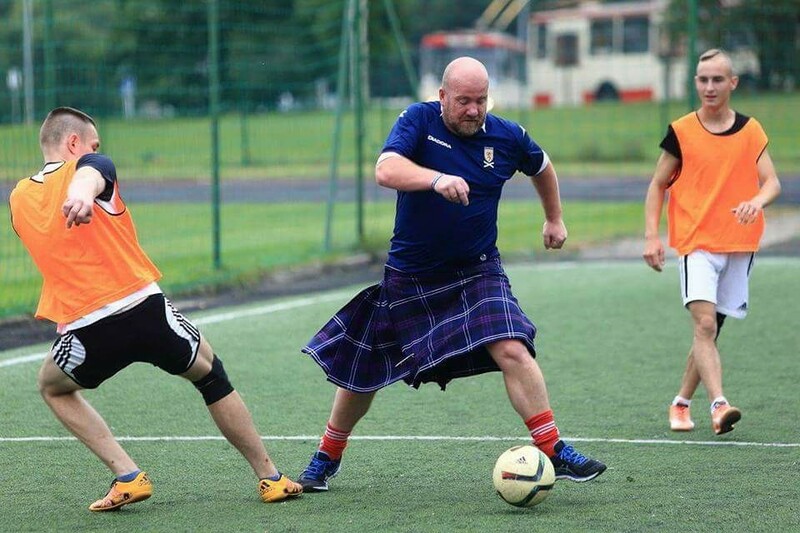 From that tournament onward, I’ve followed Scotland. I hadn’t been able to really attend any games so was more of an armchair fan. 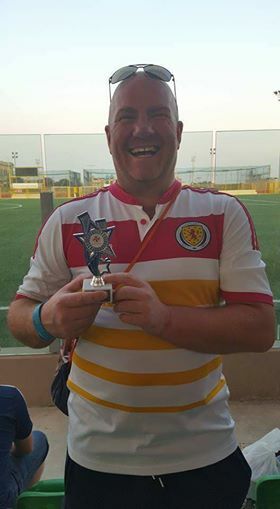 After giving up playing football, the guys in the local asked if I wanted to go with them to a game so my first actual Scotland game was the infamous (Iwelumo miss) v Norway in 2008 from that day I had caught the bug. I now started to find out a lot more about TASA and what they done. 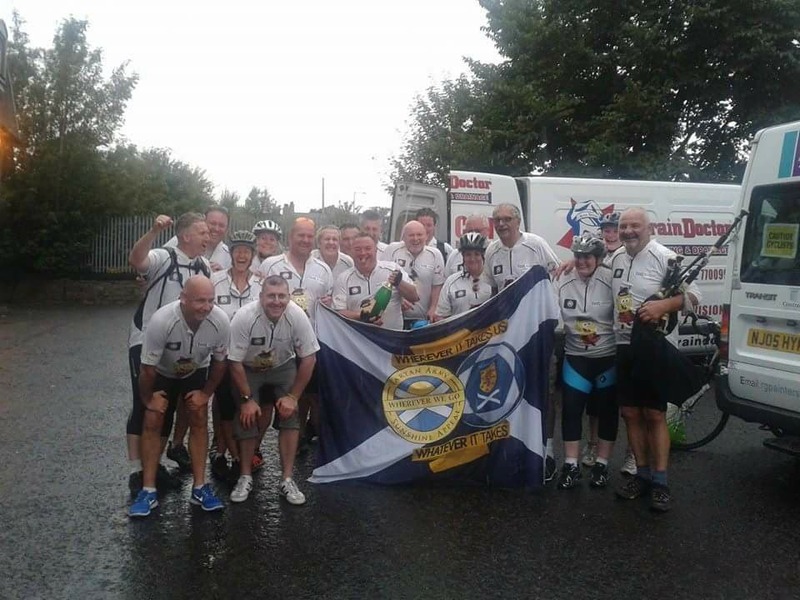 Monica managed to rope the Spongemob into doing the Kiltwalk which raised funds for TASA and later in 2014 we completed a cycle from Aviemore to Dundee to further raise funds for this amazing charity. 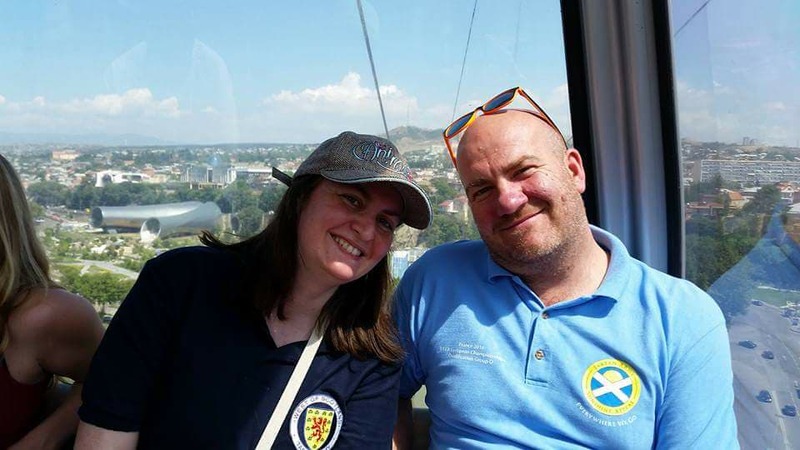 The times I have been fortunate enough to travel with just Monica and not with the Spongemob (cough splutter) have allowed me to go along to a few donations, Croatia, Georgia, Metz, Bratislava and lately in Lithuania. Attending these has been such a humbling experience for myself and opened my eyes to the great job everyone within TASA does and also the charities that are chosen. Although new to these donations I loved every second of the donation in Vilnius. The Vilnius Social Club were the chosen charity for the 64th consecutive donation. they teach under privileged children life skills and other skills through sport and football. We were told we would be having a kick around with the young children involved in the scheme, only to turn up and find school had started back that day and that their youth team were here stretching, performing flicks and tricks and taking things very serious. Now some of our “team” were at best still fragile and others probably hadn’t seen a ball since the days of lang shorters and auld leather tubs. it was a brilliant experience to be piped onto the pitch and play against these young men. We even managed to hold on for a draw and sneak a win on penalties. I am a great believer that football breaks down barriers and is a great way to meet new friends. Attending the few TASA donations has confirmed this and in fact shows that football can do so much more. looking forward to the next one…… although hopefully that won’t involve getting the run-a-round from more youngsters.